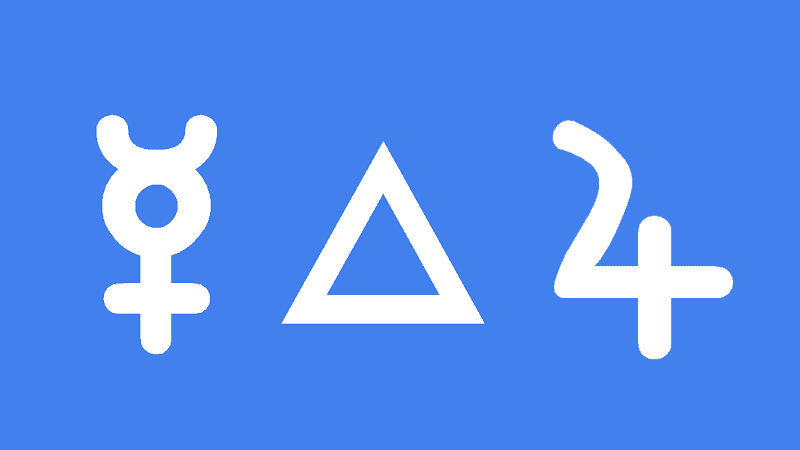 Mercury trine Jupiter natal gives a broad outlook with a wide and comprehensive knowledge. Your positive attitude and generosity makes you fun to be around. You should enjoy mixing with groups of people and should have no trouble making friends. You are eloquent with refined social skills, and form mutually beneficial friendships. This aspect helps your life run smoothly because of your broad perspective, good insight and ability to plan for the future. Jupiter amplifies all of your Mercury senses, thought processes and communication skills. You logical viewpoint, mental agility and wide-ranging views are ideal for the study and teaching of languages, philosophy, religion and law. You may also have a talent for writing science fiction given your future-oriented thinking. Your business acumen will help in any career you chose. Your progressive and generous nature favors charitable works but you can also expect to benefit from other people’s generosity. Freedom of speech and other human rights are important to you and you would certainly condemn censorship. You can be flamboyant, forceful and even intense in communicating your ideas. Politics or social activism would suit your style. Long distance travel would be excellent to broaden your outlook and increase your general knowledge. You will continue to grow in the intellectual sense all of your life. You may even manifest this like of expansion through physical exercise or bodybuilding. Perhaps the one drawback with this very positive natal aspect is a tendency to over think leading to mental exhaustion. Mercury trine Jupiter transit brings optimism and good news. Research, study and socializing are favored, and this is one of the best transits for making plans because of your good instincts, future-oriented and positive thinking. This is also the ideal time to clean up and organize anything from your office to your whole life. Planning or setting off on a journey is favored, especially long distance travels. Your open-mindedness and progressive outlook enable you to increase your general knowledge and expand your horizons. Particular areas of study which may interest you include religion, law, language and philosophy. Business dealings should go well and this is the ideal time for entering into negotiations and for signing contracts. This is also a good time for all legal matters. This can be a very fortunate time with good luck increasing your level of happiness and satisfaction. You may also find yourself helping out charities or human rights organizations. You could meet a range of people with an increase in social activity. Making friends comes easy and mutually beneficial friendships can prove profitable into the future. Arnold Schwarzenegger 0°03′, Angus Young 0°04′, Kirk Douglas 0°11′, Oscar Pistorius 0°12′, Ludwig Wittgenstein 0°14′, Christine Keeler 0°16′, Lisa St. Aubin de Teran 0°23′, David Essex 0°27′, L. Ron Hubbard 0°39′, Kourtney Kardashian 0°53′, John Milton 1°01′, Juliette Drouet 1°09′, Oliver Baldwin 1°15′, Gordon Ramsay 1°17′, Vincent van Gogh 1°20′, Fidel Castro 1°22′, Muhammad Ali 1°32′, Dennis Rodman 1°52′, George Washington 2°03′, Oprah Winfrey 2°30′. That sounds a perfect cosmic cocktail for some joyful Xmas conversations over mulled wine and h’orderves! Just a heads up (you may already know) there is apparently an asteroid ‘163899’ (also known as 2003 SD220) passing by Earth on Christmas Eve as well! It should be easy to think of a name then. Wow you are making me think! Well done. Perhaps it will be good for looking back and deciding what ideas or plans over recent times will be best to hold onto? The new moon retrograde’s what the effects? Each one if different but generally it makes it feel like time is going slower. Dear Jamie, the aspect of Mercury trine Jupiter, start to be felt already the day before and the day after? Or is it only during that day that this energy is felt. And when is it stronger apart of that day, the day before or the day after? Hi Diana. Mercury travels a bit more than one degree a day. So using one degree orb I would say one day before and one day after the exact aspect. Aspects are felt stronger when applying, which means leading up to. Dear Jamie, about the aspect of Mercury trine Jupiter, on 21st. February 2017, do you know when will be present in European time (London). Many thanks for your apreciated work and hugs! For London, 21 February at 6:27 am.